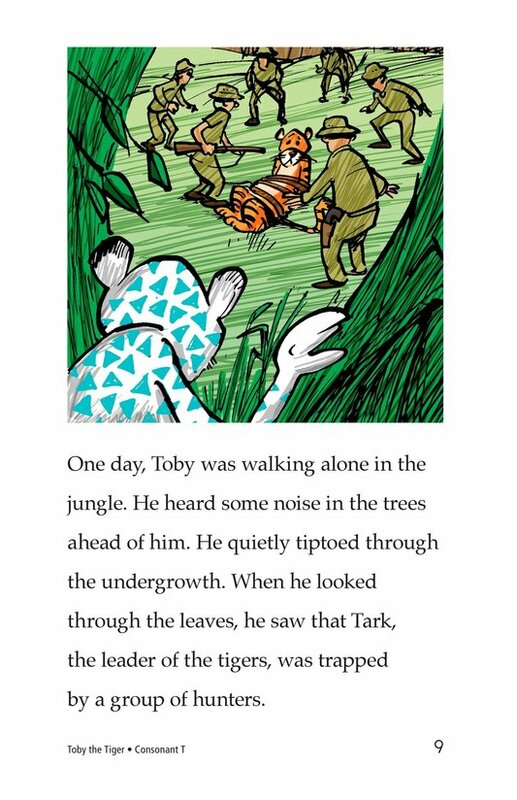 Toby is a lonely tiger. 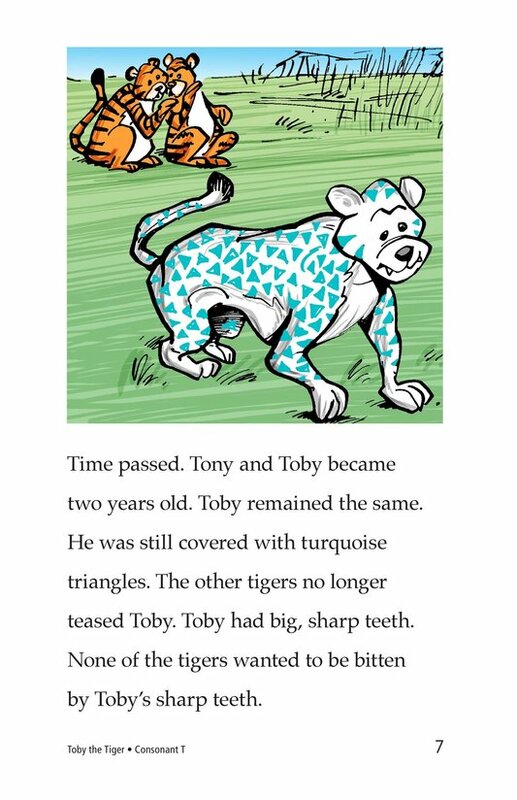 Instead of stripes, Toby's fur is covered in turquoise triangles. 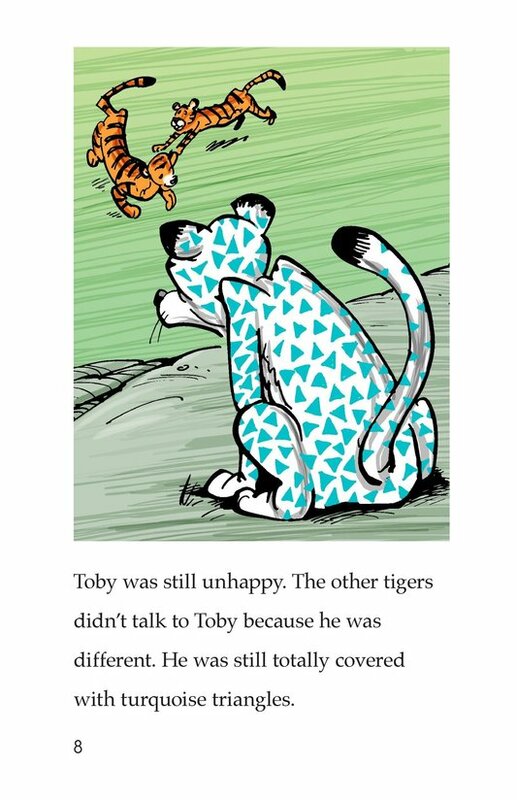 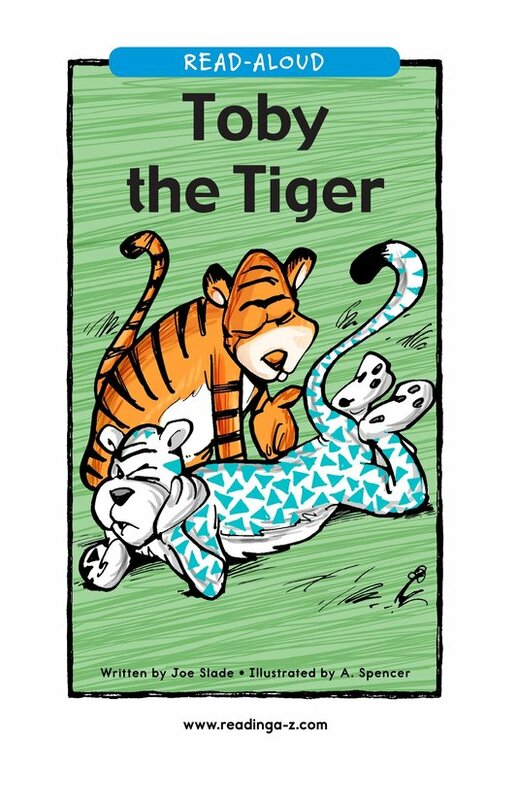 The other tigers do not want to be his friend because he looks different. 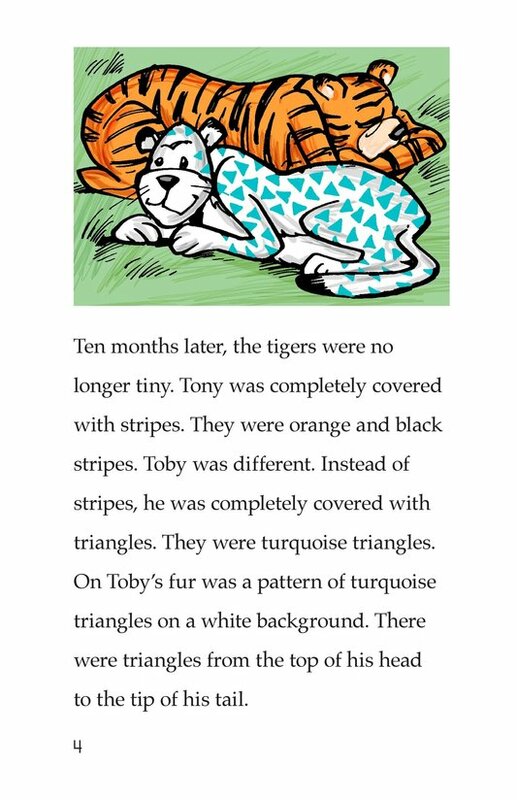 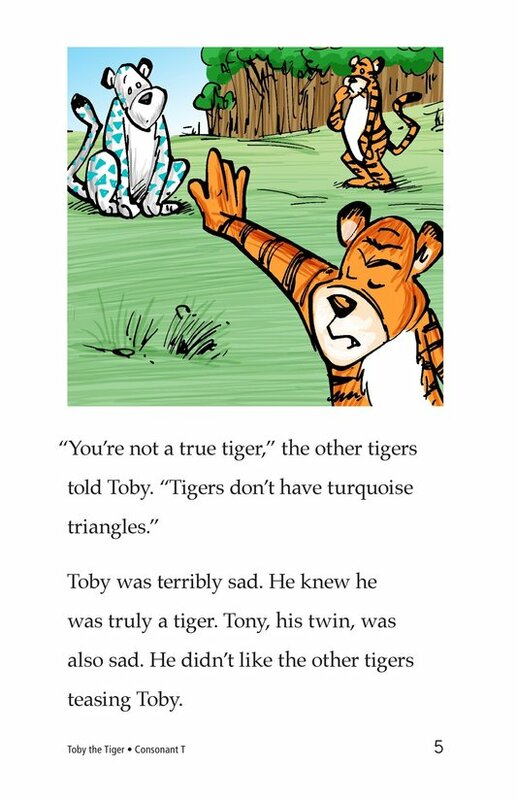 They think that Toby is not a true tiger. 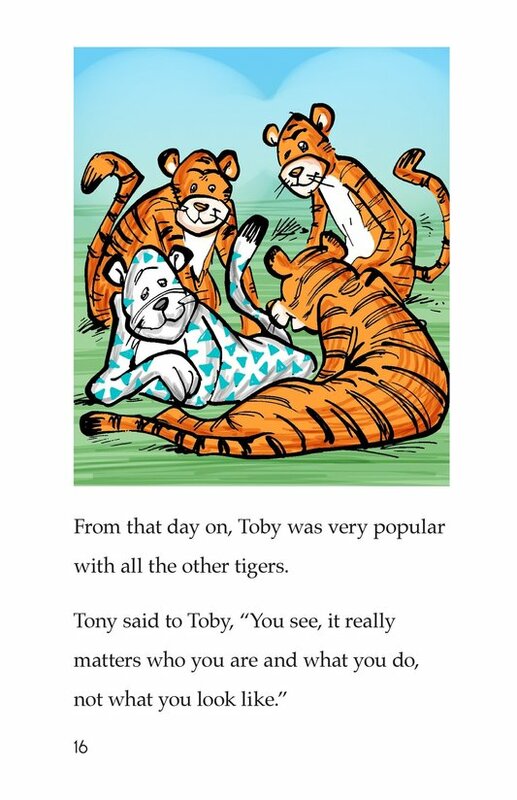 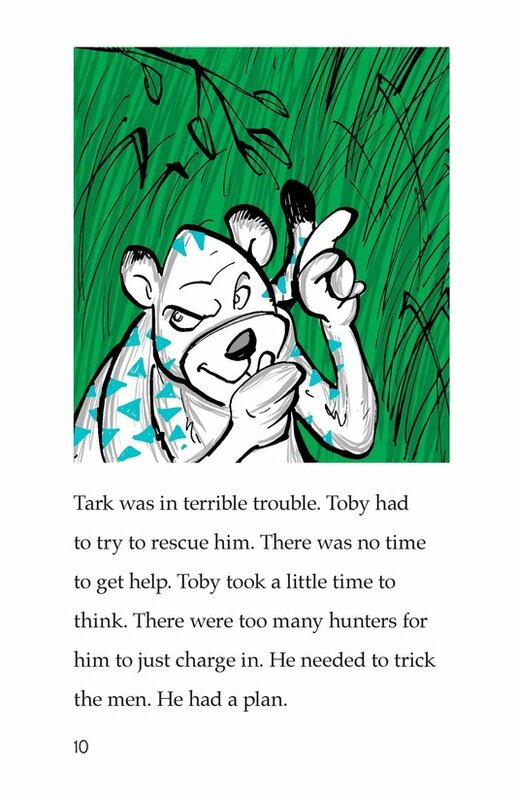 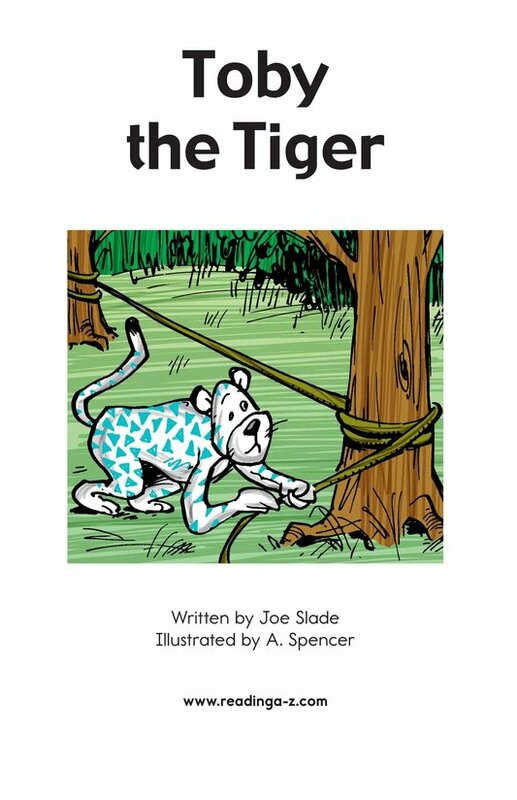 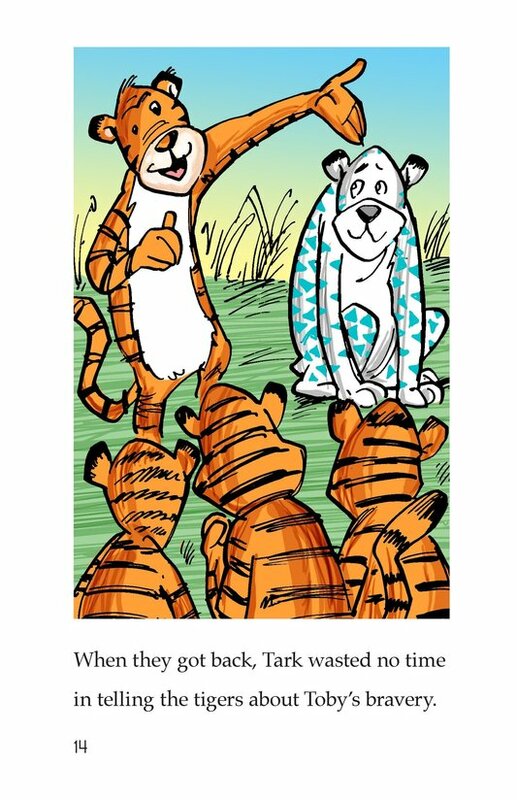 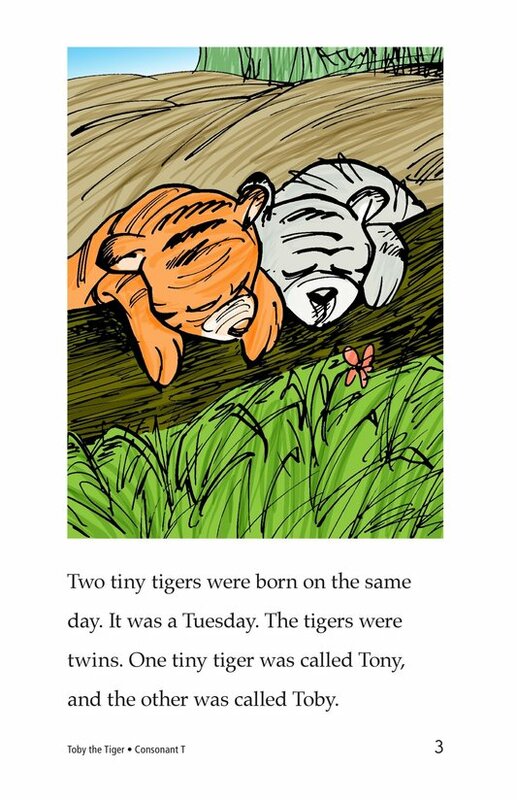 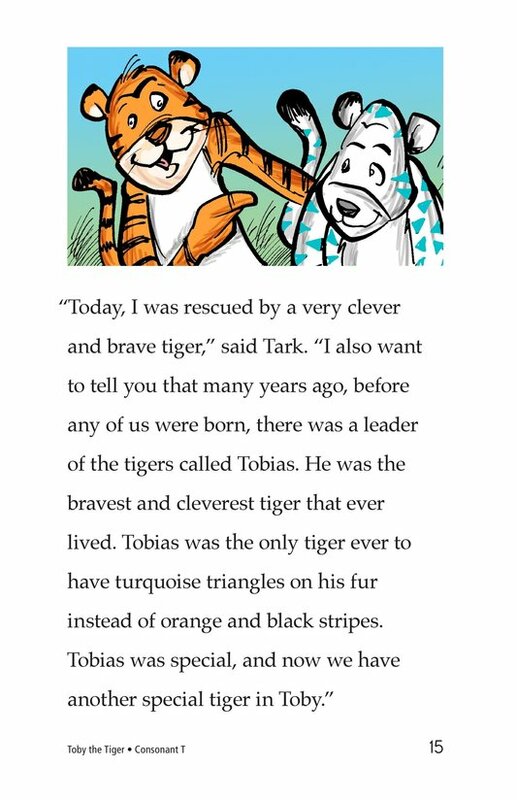 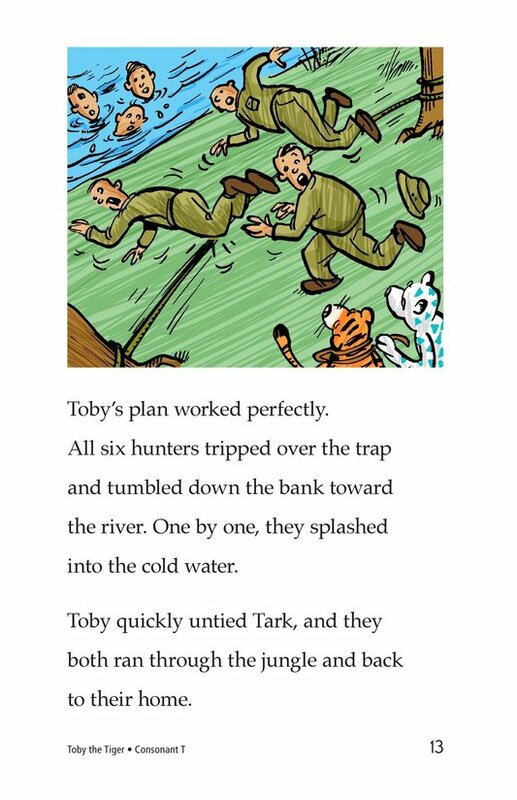 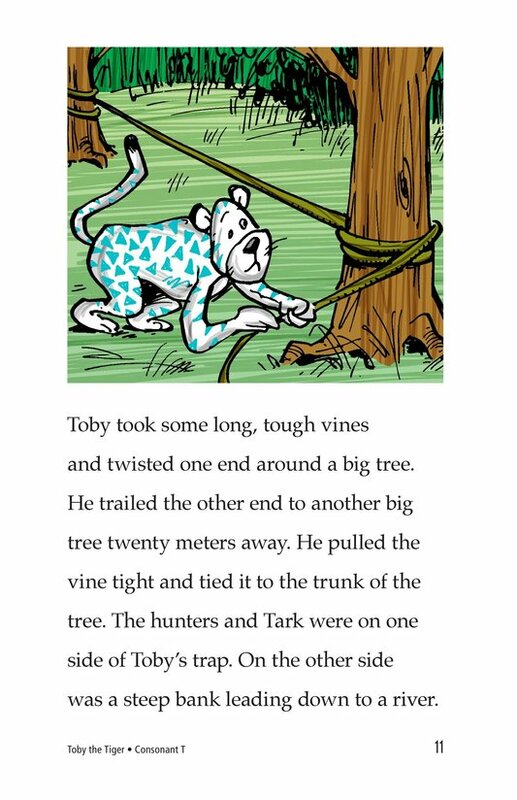 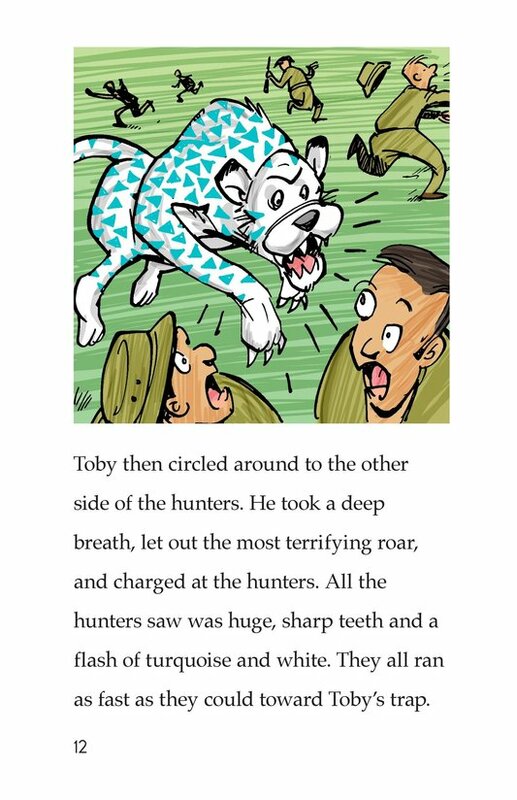 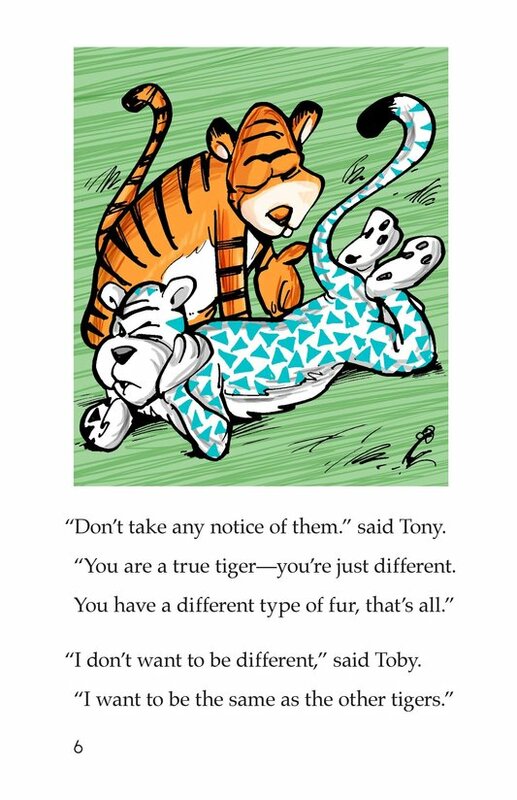 However, when Toby rescues the leader of the tigers from hunters, the other tigers realize that who you are and what you do matter more than what you look like. 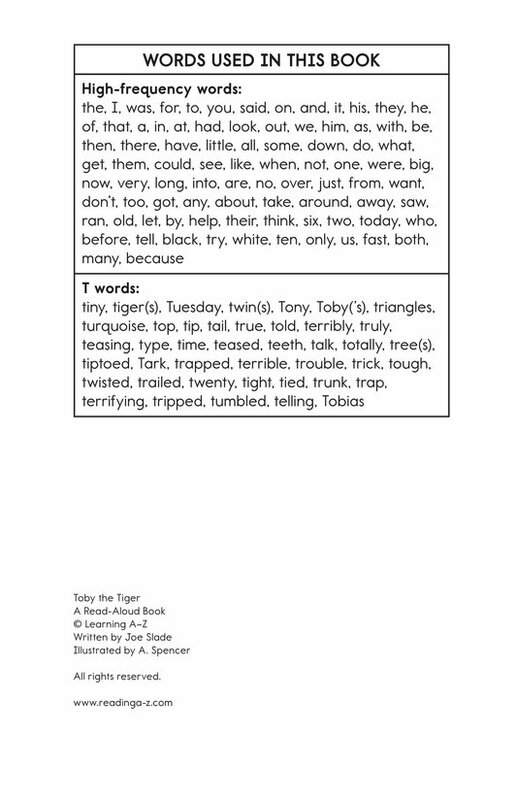 Introduce and expose students to the /t/ sound represented by the letter t.